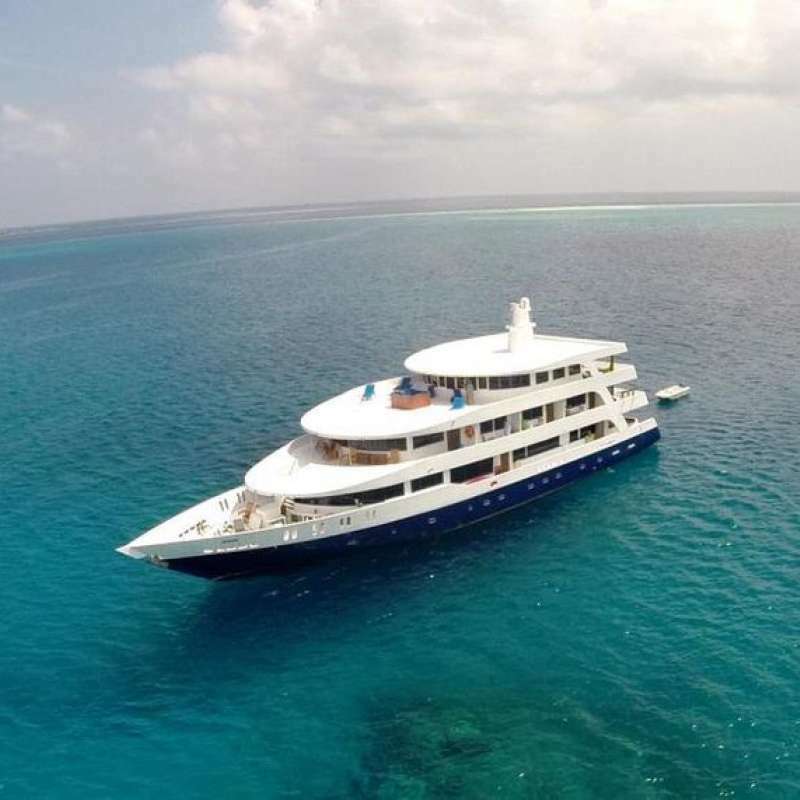 Soleil 2 is a new superior dive liveaboard built in the Maldives during 2015, measuring 44 meters long and 13 meters wide, cruise at 10 - 12 knots per hour, it is perfectly shaped for cruising the Indian Ocean and the Maldivian Atolls. Behind, there is a professional dive team from France - Dune Fleet, which already been organizing diving and underwater activities in the Maldives for more than 15 years. The air-conditioned saloon will offer you a very nice place to relax with an entertainment system fully equipped with a TV, a film projector, a sound system and a DVD player. 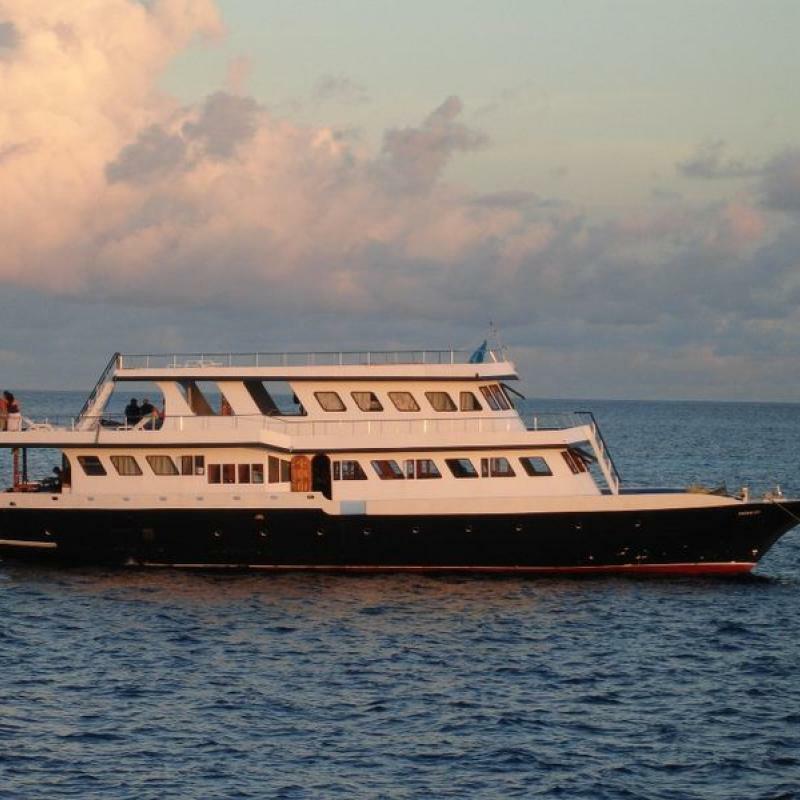 Guests also can find two spacious dinning areas: one indoor dinning room with air-conditioning located on the main deck, and the other one is located on the upper deck with open air covered seatings. In between the meals, freshly squeezed fruit juices, milkshakes and sandwiches are available, as well as hot tea and coffee. There is a large sun deck for relaxing between dives or enjoying the amazing sunset views from the jacuzzi. 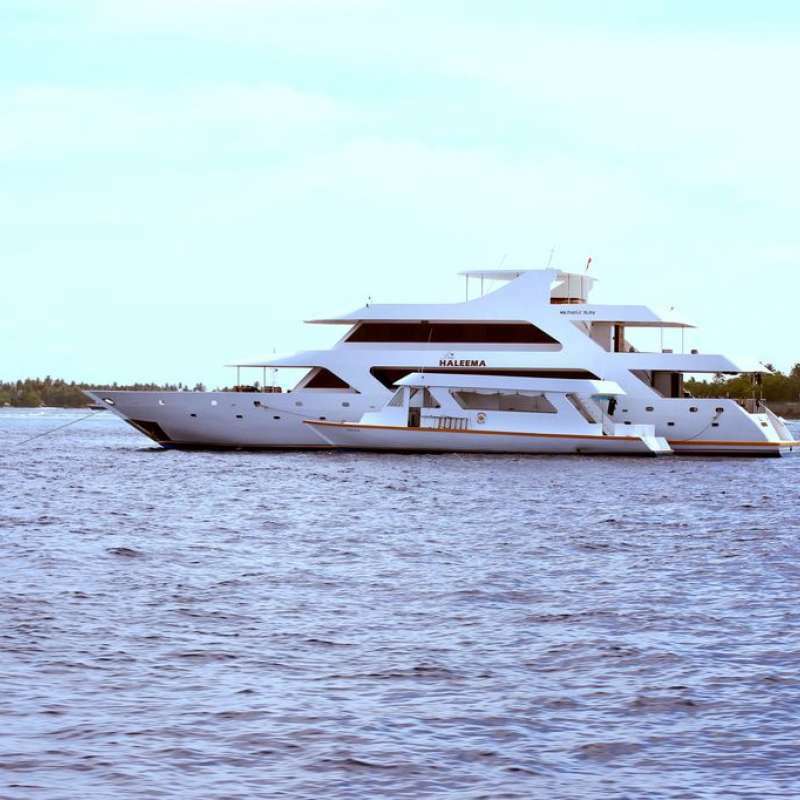 Soleil 2 provides diving from the dedicated dhoni powered with a 25HP engine and fully equipped with compressors and dive gear storage to maximise space and reduce the noise on the mother ship. The dhoni also comes with a photo/video loading station. 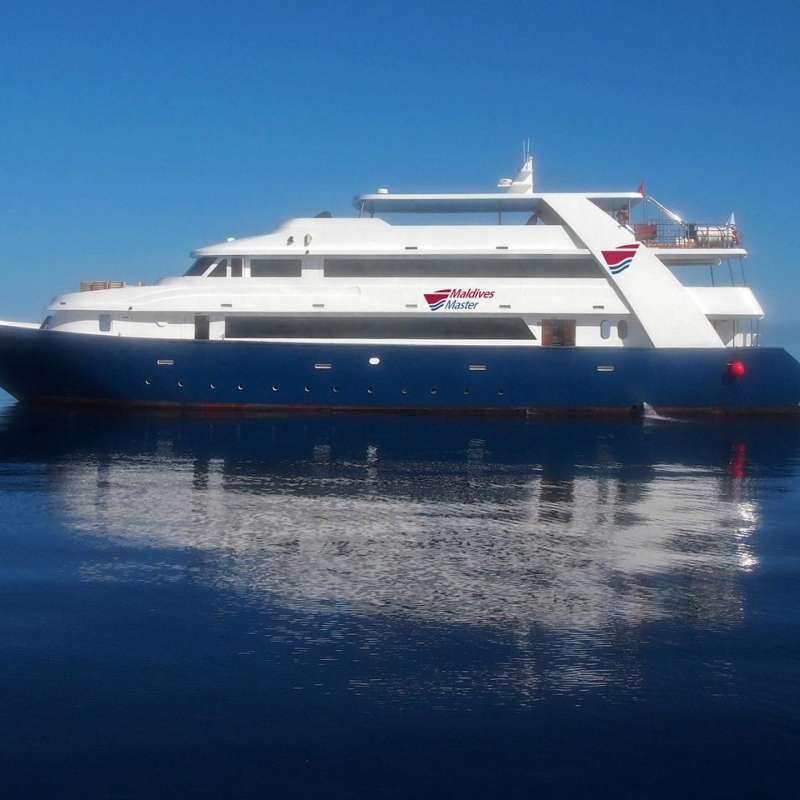 Soleil 2 has 14 beautiful cabins which can comfortably accommodate up to 28 guests per trip. All cabins are in good size, and each cabin has air conditioning, a private bathroom with shower and toilet, ample storage space, mirror, closet with coat hangers, power supply with 220 volts is available. Located on the main deck, 25sqm in size, with 2 single beds (0.9m x 2.0m), a wardrobe, a double seats sofa, a table, and lots of seaview windows. Located on the main deck, 25sqm in size, with 1 double beds (1.5m x 2.0m), a wardrobe, a double seats sofa, a table, and lots of seaview windows. Located on the upper deck, 15sqm in size, each with 2 single beds (0.9m x 2.0m) or 1 double bed (1.8m x 2.0m), a wardrobe, 2 large sea view window, and a pravite balcony. Located on the lower deck, 15sqm in size, each with 2 large single beds (1.5m x 2.0m), a wardrobe, portholes. Located on the lower deck, 11sqm in size, each with 2 large single beds (1.5m x 2.0m + 1.2m x 2.0m), a wardrobe, portholes. 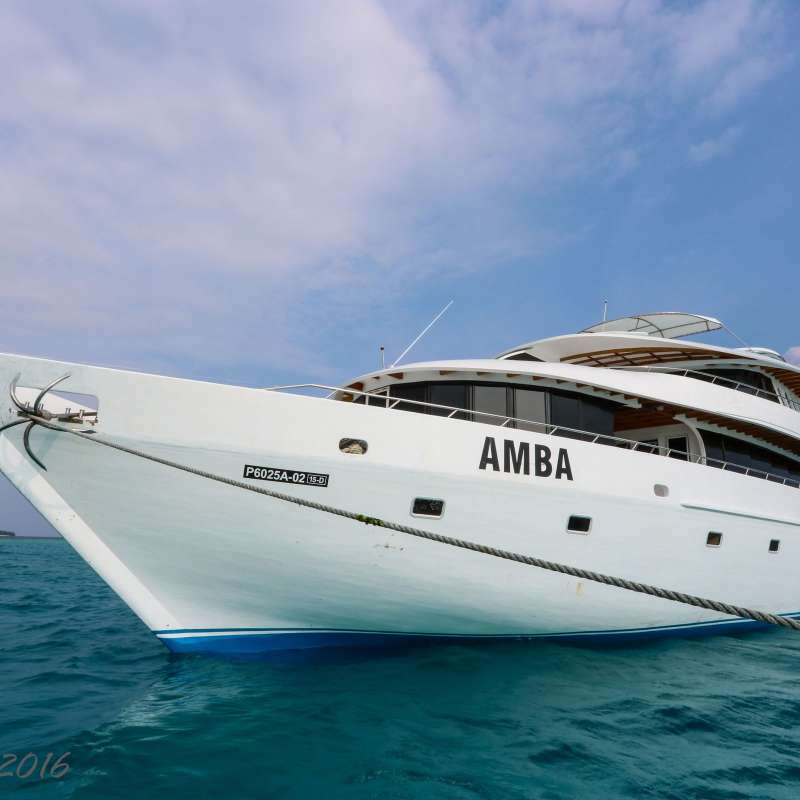 Hope Cruiser e' una barca da crociera che naviga tra gli Atolli delle Maldive, ha 6 cabine con un letto matrimoniale ed uno singolo a castello, ospita solo 12 subacquei.